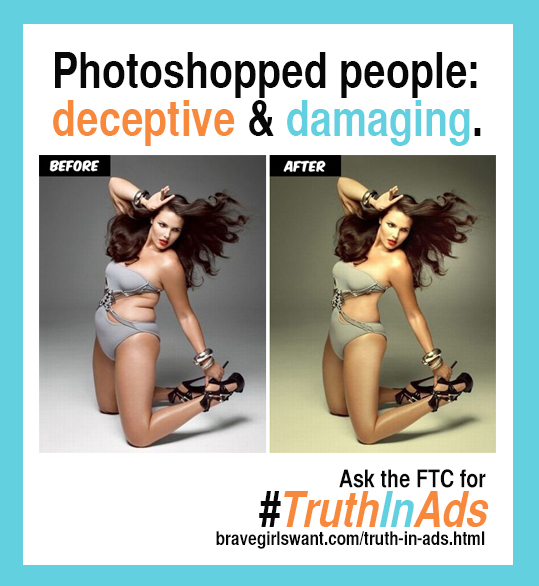 Yesterday, I spoke with CBC Radio about the Brave Girls Alliance’s #TruthInAds campaign, explaining why we’re asking advertisers to stop deceptively Photoshopping people’s bodies. The body alterations that are now routine in ads are contributing to a public health crisis—one disproportionately affecting children, teen girls, and women. I also shared some advice from my book, The Princess Problem, for parents who are concerned about the body images their children are exposed to. The good news, is that one retailer, ModCloth, has agreed to take the #TruthInAds pledge, receiving widespread praise from media outlets such as Time and Today—setting a precedent we hope other advertisers like Dove will follow. Sign our petition asking Dove to also sign the Truth In Advertising Heroes Pledge. Share images and message from our Campaign Toolkit on your social media accounts. Rebecca Hains is a media studies professor at Salem State University. Her book, The Princess Problem: Guiding Our Girls Through the Princess-Obsessed Years, is now available from Amazon and other retailers. 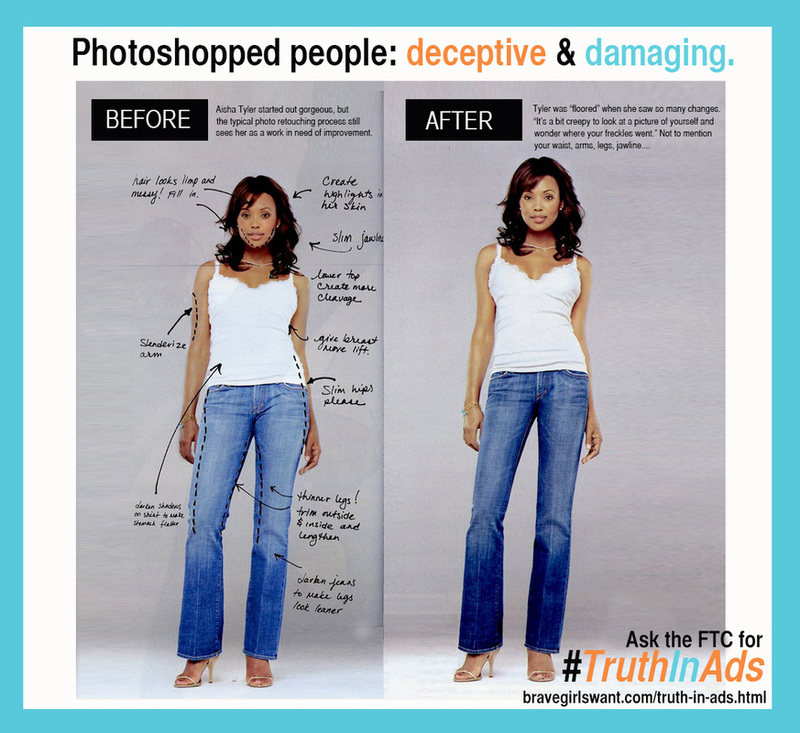 This entry was posted in Activism and tagged Campaign, Ditching Photoshop, Dr. Rebecca Hains, The Princess Problem, truth in ads. Bookmark the permalink.